Welcome back to this week’s Countdown! If you missed the first 10 songs yesterday, you can go ahead and check them out. Some of these songs bring back memories. At this time in 1985, I was in the second half of my freshman year of high school. I enjoyed making new friends in high school, but did not do too well in classes. While I was struggling with my studies, there were some awesome songs to lean back on and use as an escape. Let’s enjoy some of this music now, by Returning to the week ending March 9, and move on with the countdown. How about we start the countdown today with a little funk?!? 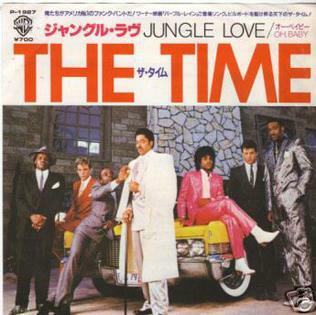 The Time, led by Morris Day, was a pop-funk band which was put together by Prince. You can definitely hear the influence in this song. Not long after this, Morris Day left, and went on to a solo career. They would reunite and break up several more times over the years. Currently, they are known as The Original 7ven. Oh boy, I’m torn on this song now. Before I started the Springsteen project (a.k.a. 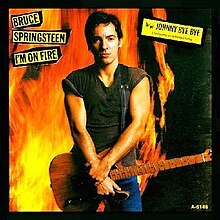 “Who’s the Boss?”), I would have said that a song with the word “Fire” in the title needs to have screaming in it. But, as I become a Springsteen student, I am beginning to like this song more each time I listen to it. I may not be on fire about this song, but I am warming up to it. What can I say? I guess what I’m trying to say is, if I can change, and you can change, everybody can change! With this song, the Commodores finally showed that it may be possible to move on without Lionel Richie. It was their first hit after Richie went solo. “Nightshift” was written by the lead singer at that time, Walter Orange, (along with with Dennis Lambert and Franne Golde). It was a tribute to soul/R&B singers Jackie Wilson and Marvin Gaye, who both died in 1984. 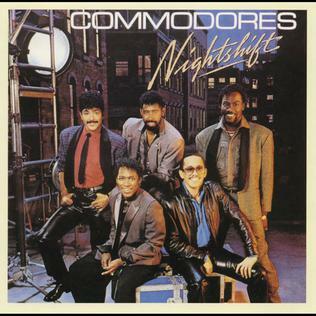 The Commodores won a Grammy Award in 1985 for Best Vocal R&B Performance by a Duo/Group for this song. Great song from the classic album Reckless. This song topped the Billboard Top Rock Tracks chart and peaked at number 11 on the Billboard Hot 100. 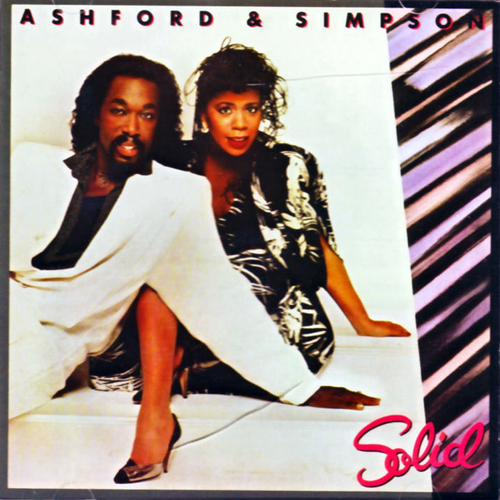 The husband and wife songwriting-production team of Nickolas Ashford and Valerie Simpson had their biggest hit, as performers, with this song. It would go on to peak at number 12 on the Billboard Hot 100. I don’t usually like Mick Jagger’s solo stuff, but this is a good song. 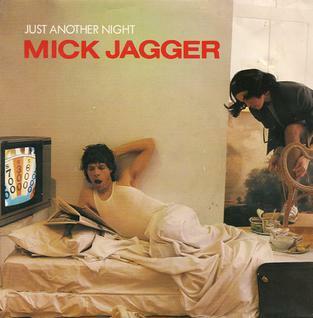 It was the first single released from Jagger’s debut solo album, She’s the Boss. A year and a half after Billy Joel’s An Innocent Man album was released, he was still scoring some hits off of it. This would be the last single released from that album. This is a nice, fun song. What a great rocking song! This was John Parr’s first hit in the U.S. In 1985, he and his band, The Business, toured with Toto. At the end of the tour, he was approached by super-producer David Foster, who requested Parr to record a song for the film “St. Elmo’s Fire“. And the rest is history. This hit came off of one of my favorite albums of the ’80s – Vital Signs. This wasn’t my favorite song from the album though. I feel that this song did get overplayed. But, years removed, I do enjoy hearing this once in a while. We wrap up the countdown today with an interesting song. “Save a Prayer” was released in the U.K. in August of 1982 from the album, Rio. It had not been released in the U.S. as a single. The video did get play on MTV, though. 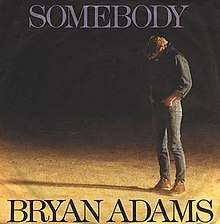 Then in 1985, a special U.S. version of the song was cut with the live version from the Arena album on the flip side. This live version hit the charts, and climbed all the way up to #16. Well, that’s the end of the countdown for today. I hope you’re enjoying this week’s songs so far. They are just going to keep on getting better! So, please come back tomorrow as we continue the countdown. Oh wee oh wee oh! Two days in a row we hit the ground running! Glad you could find a Time video…it used to be almost as hard as finding Prince on youtube. 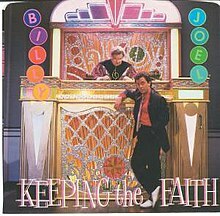 “Keeping The Faith” is actually one of my least favorite Billy Joel songs. Other than that, this list rocks again. And while “High On You” is a good song, it still gets overplayed. My old pen pal got me hooked on “Save A Prayer.” One of my top three DD songs of all time. You sure the rest of the list will be better? It’s going to be hard to top what we’ve already heard! I really like that Time song. They don’t get played enough. At the time that “Keeping the Faith” came out, I didn’t care all that much for it. I like it better now. And I agree with you 100% about “High On You”. And I like “Save a Prayer” too. It’s a little different from their other stuff.